We are so excited to be participating in the Virtual Book Club for Kids again! Hopefully now on a more permanent basis. I had all good intent of joining in again sooner but life and all of that. So, here we go! 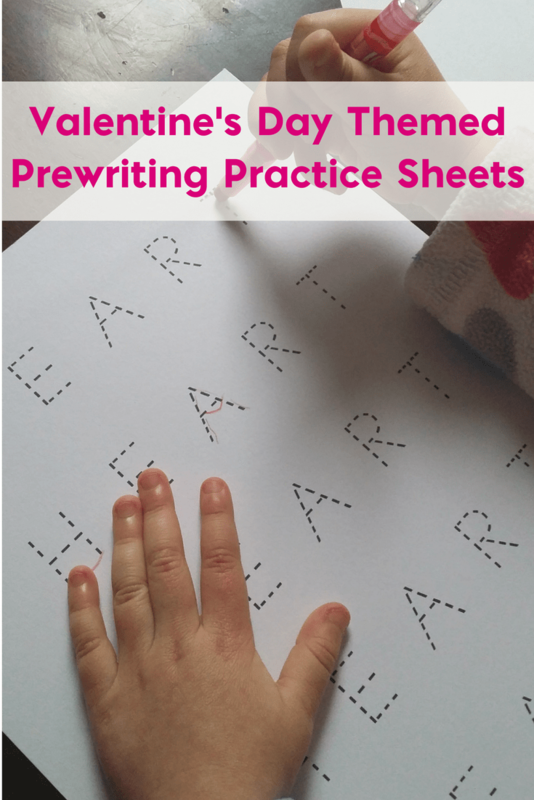 For this week’s theme, I made a Valentine’s Day themed prewriting practice sheet. And while my toddler uses it for preschool readiness skills, you could also use these for kids with special needs. 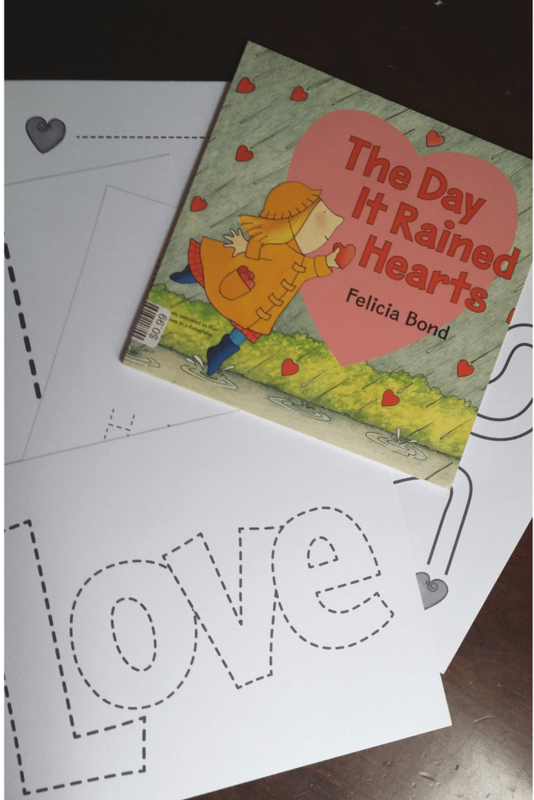 The book for this week is: The Day it Rained Hearts by Felicia Bond. I’m not really sure if this caught her attention quite well but she seemed interested enough. We try to read several times a day. And we always start and end our days with reading a book or three. It all depends on how interested she is. We also used this time to talk about kindness and love. And we printed out Valentine’s Day cards. 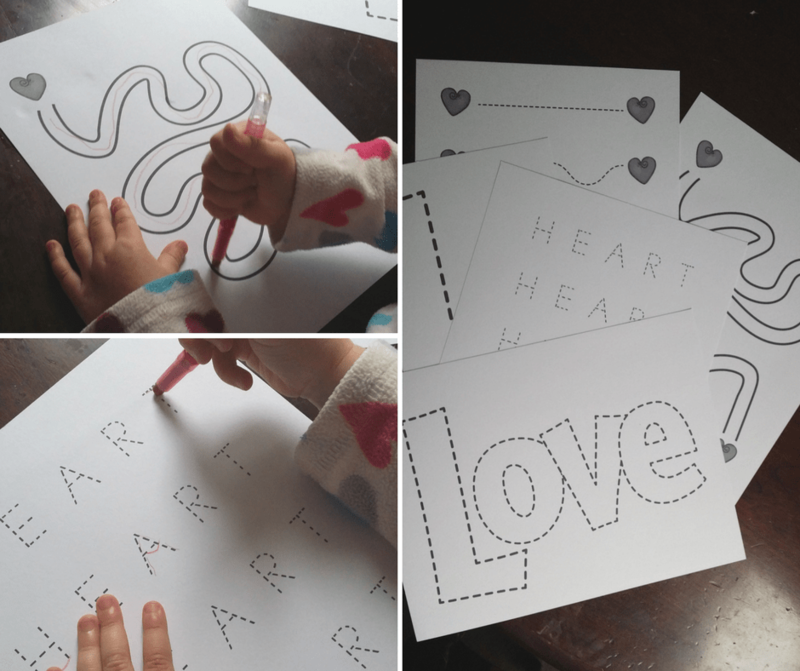 Squeaker has really been into coloring and tracing lately, so I made some quick sheets for her to try out. We’ll do something differently later in the week and also make more sheets, so be on the lookout for that. We’ll have a matching game and some other things to try.